To join the Trust, you can download a copy of the membership form, fill it in by hand and post it to us with the address below. 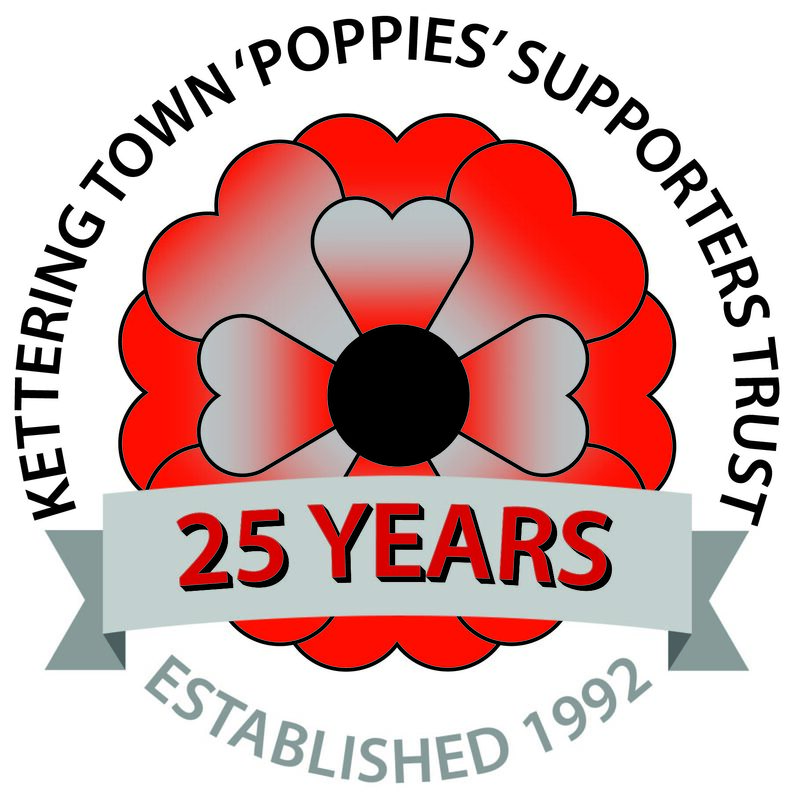 You can pay by cash or cheque - payable to Kettering Town (Poppies) Supporters Trust. Or you can join online now by paying with Paypal - payable to membership@poppiestrust.co.uk - stating how many and which memberships you are applying for. Please remember to state you are gifting to Friends or Family so that there is no transaction charge. Just click on the button below to be transfered to PayPal's secure site where you will be given the option to 'continue shopping' or 'proceed to checkout'. Once you have completed your transaction you will receive a confirmation email. All major credit cards and debit cards are accepted, or you can pay using PayPal. All sales are 100% secure and safe. Please remember when placing an order for more than one membership to include the names on the order form. Similarly, when ordering junior or family membership remember to include the names of any children. If you require any assistance, please do not hesitate to contact us by emailing membership@poppiestrust.co.uk.